One of the joys of owning a Mini is the driving experience it can offer. Small, nippy and economical to run, the Mini has been enjoyed for decades by drivers of all ages and experiences. However, this ease of driveability would not be possible without strong steering in place. If you’ve been searching for Mini steering parts to improve the driveability of your Mini, then you’ve arrived at the right destination here at Mini Sport. For over 50 years, we have been supplying Mini parts and spares to enthusiasts throughout the UK and more latterly, around the world. Whether you’re looking to customise your steering, need to replace certain parts or are simply wanting to restore your Mini back to its former glory, we will have everything you need to suit your requirements. 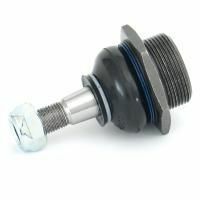 - Connecting the vehicles’ tire and wheel to the suspension system, a great-functioning ball joint is vital in experiencing a comfortable ride. 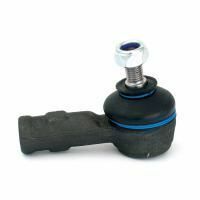 Our ball joints range here at Minisport includes genuine OEM (Original Equipment) and specialist replacements parts for all types of models, including the Mini, Mini Cooper, Mini Cooper S and Mini Clubman. 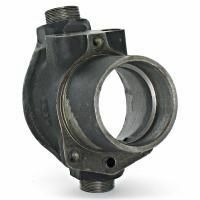 - As the shaft that connects the steering wheel to the rest of the steering mechanism, a well-working Mini steering column is the conduit that can be the difference in producing a great drive. 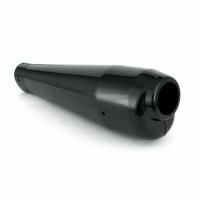 Amongst our range, we have a wide choice of steering column and cowl parts, designed to improve the responsiveness of your steering. 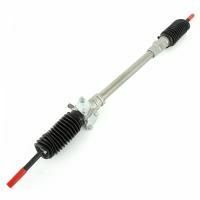 - Connected to the steering wheel via a set of shafts and joints, the steering rack is an important part of ensuring the turning ease of the vehicle. As the steering wheel is turned, the rack is pushed in the same direction – as the ends of the rack are connected to the front wheels, they follow suit. As such, it’s important to ensure that yours are in full working order; if you’re looking for new parts, then please feel free to browse our exclusive range. - The connecting points that allow for the wheels to be driven, the name comes from their ability to swivel so that the car can be pushed on and steered in the desired direction. Our range of swivel hubs can suit Disc or Drum-type Minis. Available as a single swivel hub or a completely-built, fully-assembled unit that’s ready to fit your Mini – we cater for everything. - Despite its name, the track rod is comprised of an inner and outer rod that perform different functions in the Mini steering system. The inner rod is attached to the steering rack, whilst the outer rod is attached to the steering knuckle. As a unit, they work together to push their connections along, making their role in the steering mechanism vital. - The steering arm pushes/pulls the hubs in order to gain directorial control over the front wheels. 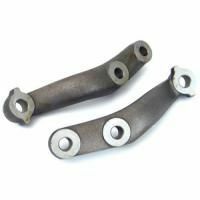 Here at Minisport, we have a large selection of steering arms that will suit all requirements in regards to function, style and budget. Exclusively designed to maintain the prestige and history of the Mini, our parts and spares will allow you to customise your vehicle to how you would like it to be. Whether you’re looking to restore it to its former, original glory, want to give your classic runner a new lease of life with new, fresh parts or are even interested in racing your Mini, we can supply everything you need.